When the alarm went at 3.10 on a Monday morning I can’t say I was thinking about drinking Port much, however, this was to be quite a two and a half days. 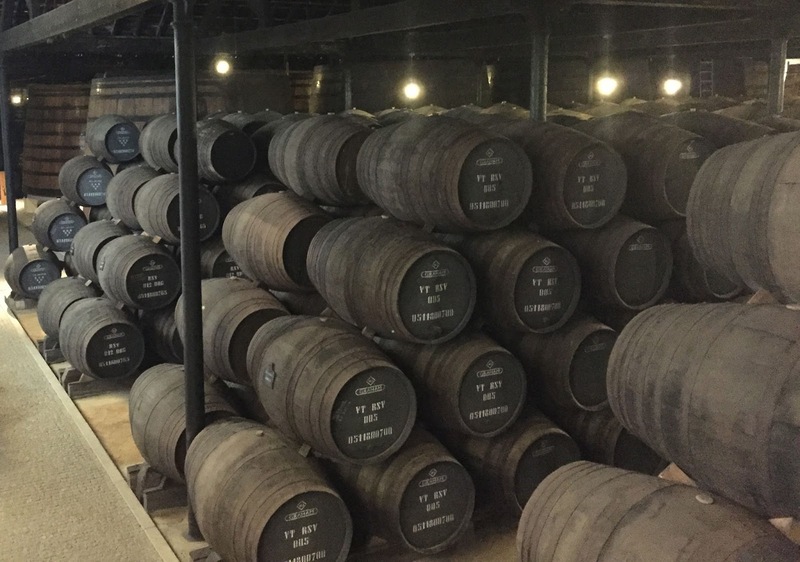 Port is the wine that first really made me investigate wine and start reading and researching it, ironically in nearly 18 years in the trade I had never been to either Porto or up the Douro. First things first, special thanks must go to Richard Girling and the team at Fells for the invite and to our superb Guide and Symingtons man João Vasconcelos. 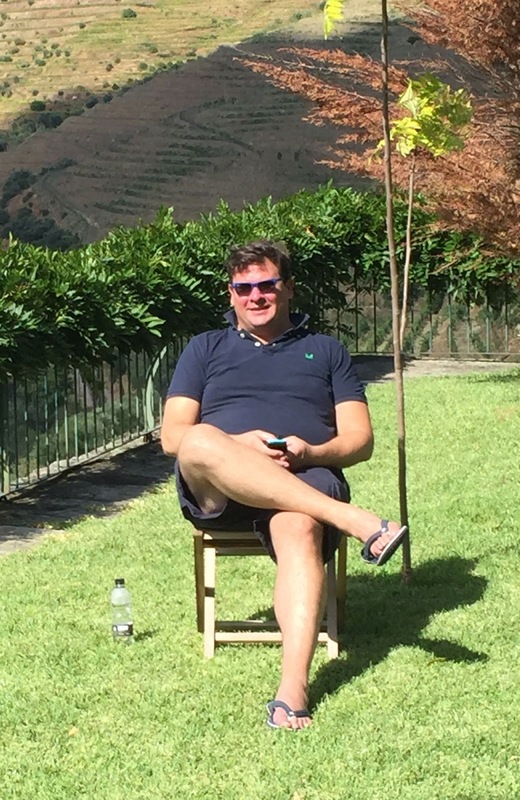 It followed on in a way from a tremendous few days – Maderia lots of hard work and the odd ninja and Madeira – Blandys tour and tasting – in Madeira two years earlier. These trips are really great experiences and further re-iterate to me that whilst wine is a result of weather and environment the people involved in the production and selling of it are both crucial and often the most fun part of it all. My tasting book from the trip took the format I have tried to follow for trips – right hand page for notes and the “wine stuff”, lefthand page for amusing observations, anecdotes and quotes – it is amazing how the lefthand page can make on smile months and years later. So on with the “work”! Having got to Gatwick from north London for the 5.45am meet it was time for coffee. The flight was snug thanks to the easy jet seats but also the presence of Burns on my “loosehead” side and Girling on the “tighthead”. We landed in fog and a cool 16 degrees. 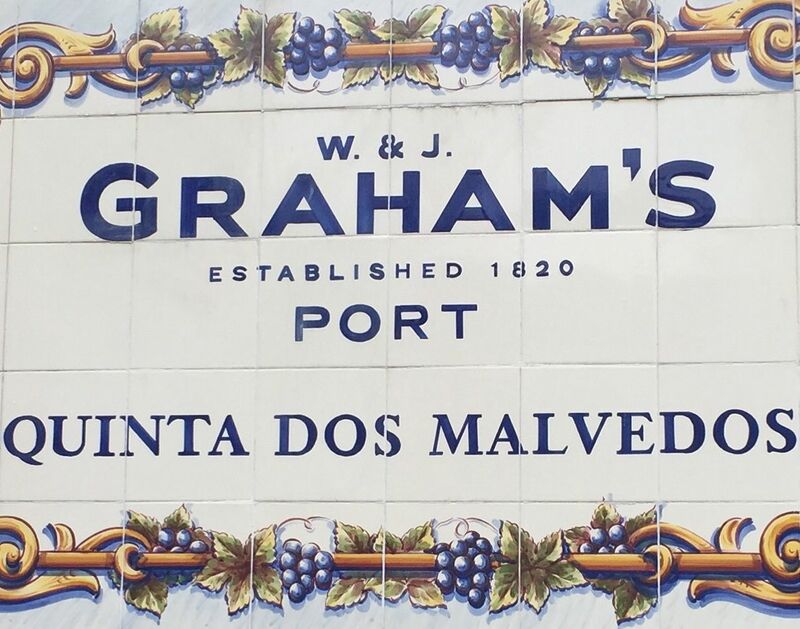 From the airport it was a quick 20 minute ride to the Graham’s 1890 Lodge in Vila Nova de Gaia where the Port lodges are situated historically. I hadn’t realised that, despite now being joined, actually Porto and Vila Nova de Gaia are separate cities. We were met on arrival by João who then gave us a private tour of the Lodge. It’s a wonderful spot and you get a real sense for the difficulties and significant challenges of Port storage and logistics as well as hearing some great stories and the colourful history. One of the many barrel halls. It is a sizeable place with essentially all the Ports that will be released from Ruby through Vintage and older Tawnies. And all this 2 hours away from the region where the wines are grown and made. Having spent about an hour having a really good look around it was certainly time for a tasting – this was to focus mostly on the Tawny (wood aged) side of things. Graham’s Six Grapes – This is a 3 year old wine with no sediment made, essentially, from declassified vintage wines. It was a good start, rich, full cherry notes with deeper darker fruit behind that. Creamy texture with a little spice. Juicily pungent! 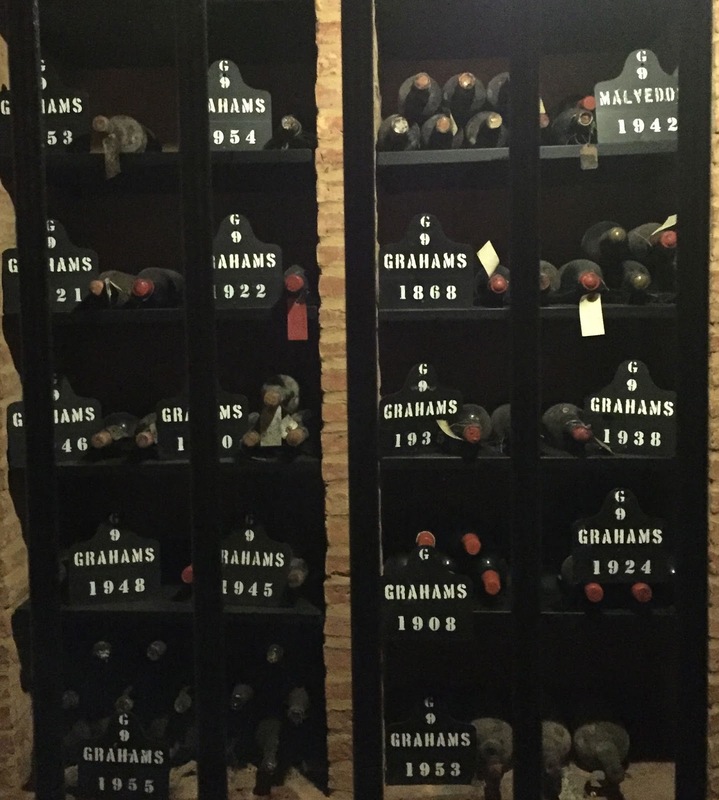 Graham’s LBV 2011 – Late Bottled Vintage is a style that is bottled 4-6 years after the vintage, in Graham’s case 5 years. Deeper spicier, more savoury on the nose, the palate has a sweetness followed by savoury grip. Graham’s 10 Year old – Redder fruit and a little marzipan, lovely balance, a little spice but in a more leathery and nutty way. Graham’s 20 Year old – A little dash of leather and some nutty spice. Macadamia nuts, just delicious, then the nuts get more dark and rich before raisins arrive, very good! Graham’s 30 Year old – Beautiful colour…much more savoury bite to this, powdered citrus which reminded me a little of a Verdelho or drier Bual Madeira. Then there was a more savoury bacon note. Really zippy on the palate with so much life, some wine. Graham’s 40 Year old – Full tawny brown colour has a real tang, almost sherried in style. A marmite bite, less sweetness, less nuts more high toned and harder to describe. 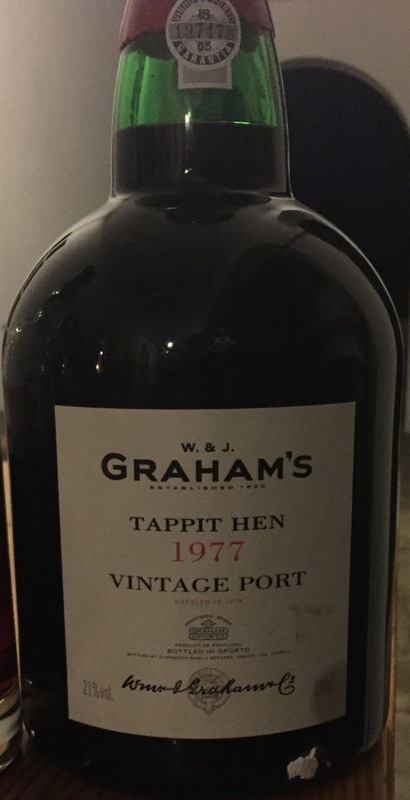 Graham’s 1972 Single Harvest Tawny – There have only been 9 barrels of this and it is almost all gone, each barrel was bottled in turn. The wine is delicious. 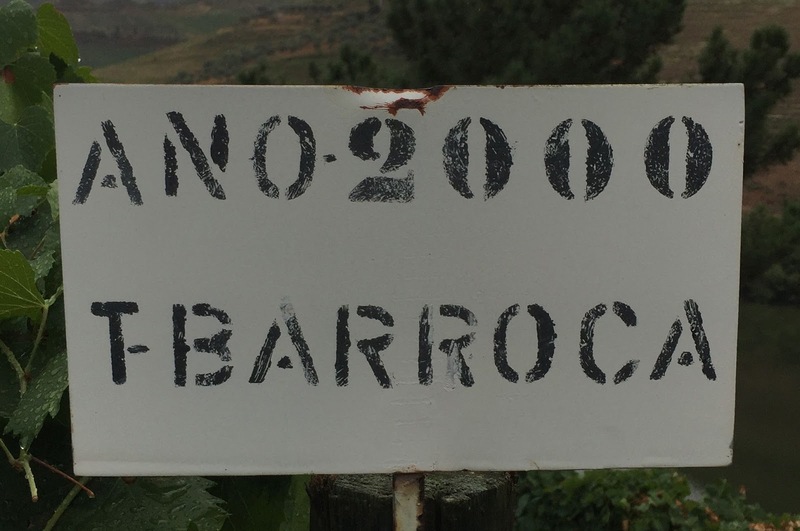 There is still a little red to the core, a high-toned nose with a rancio note, very complex. There is real energy and zip here my note finishes with “Lift, lift, lift”. We squabbled, entirely ridiculously, for a little bit about which we preferred Demetri probably summed it up best with “I prefer them all”, that’s what having MW after your name does for you! In honesty I loved the 20 and 30 a shade more than 10 and 40 but then how often are you going to have them side by side and all had serious class about them. 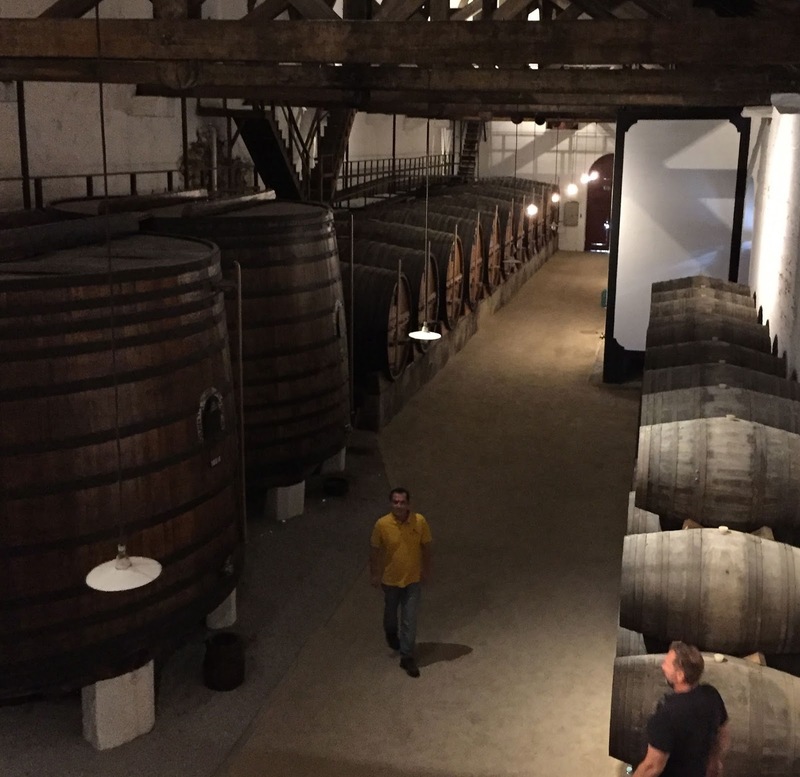 These wines never see new oak of course – I liked João’s quote that they “always see tired wood never new oak”. The tasting had served to further awaken our stomachs (the acidity does this) to the idea of food and we were in for a treat as we joined Paul Symington for Lunch at Vinum Restaurant that they have built on site. The view is stunning and with the first White Port and Tonic, this would become a welcome theme, in hand we were very happy. Paul is about as driven a person as I have come across in wine, passionate but very pragmatic which has a nice openness about it. 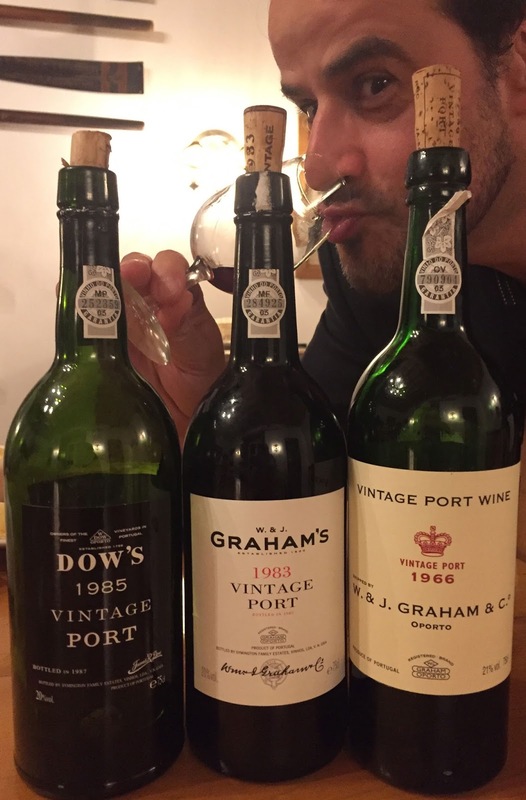 We spoke at length about the successes they have have had – Dow 2011 being amongst the most recent – but also about how the world of Port has to move with the times. Embracing Tawnies has been one such move, only making the very best vintages another and lastly (of the major moves) looking at the dry wines of the region. Over a lovely hour and a half we filled up on the lovely local dishes and drank a few good wines. It is a restaurant I firmly advise you to go to. The Symingtons have put together a list of wines there that is not just those they produce and this is a good idea and a good lead. We started our lunch with the Altano White 2015, this wine was to become a good friend, primary, clean, fresh, wonderfully unpretentious, it is thirst quenching and well focussed. Post Scriptum 2014 from Prats + Symington was next this is essentially the second wine of the joint venture between the two families, more on which later. Dark cherry and almost serious Barbera like fruit, very good, open and ready but with years ahead if you want. 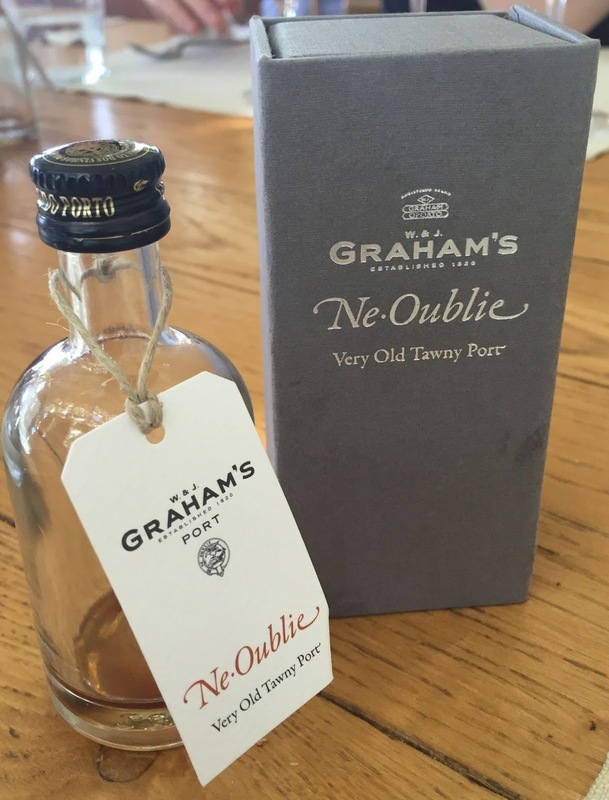 Ne Oublie (5cl) – About as serious a tawny as there has ever been. You can read all about it HERE. I have been lucky to taste it once before and found it just as spellbinding on both occasions oranges, polished tables, pungent richness but with zip, there is a wonderful feeling of intense but totally natural reduction and focus, think of almost any natural but intensified by “dessication” flavour and it is there. Graham’s 20 Year Old was to be the last tipple but this time served from a splendid 450cl bottle (6 bottles in one). I’ve started to see this in restaurants more and more and Tawny served cool has to amongst the oct refreshing yet decadent wines there is. From the table we bid Paul a grateful goodbye and transferred to, it has to be said the eastern block inspired, Porto Campanhã train station. Mr Girling yet again played the perfect host as he procured a few receptacles of Super Bock beer of the journey whilst our other host, João, made sure the next two evenings wines travelled in perfect condition by car. This sort of hosting and thought really does make all the difference…what’s that thing about devil in the detail? With a quick change in Regula we eventually arrived in Tua, sounds more Maori than European to me too. 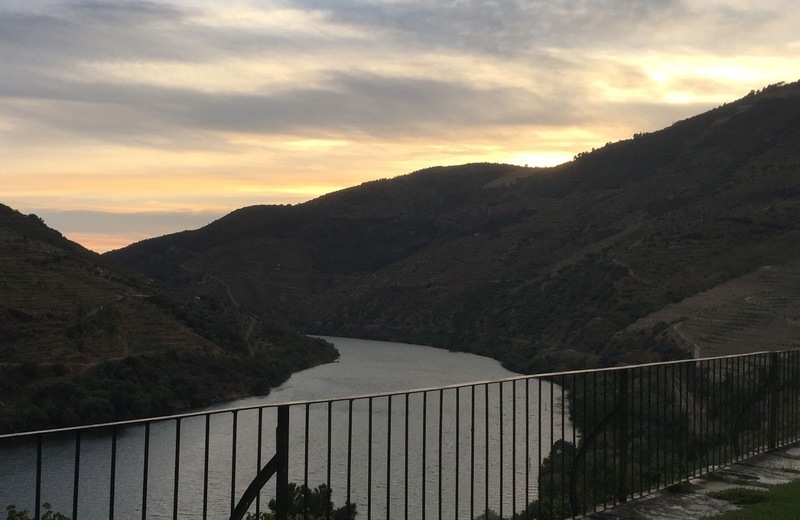 About halfway along the journey you suddenly start to really “get” the Douro….the sites are picturesque, the scale rather daunting, it has a natural and uncompromising grace about it, a certain timelessness. 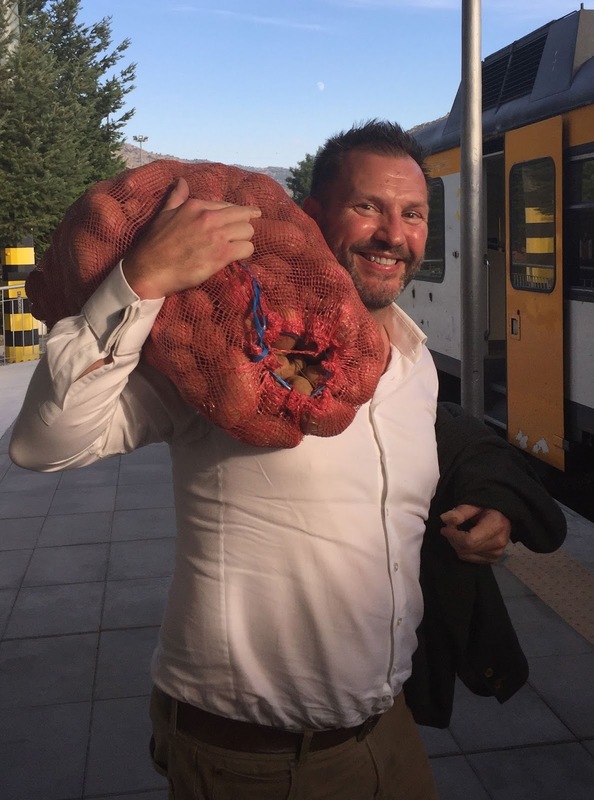 Mr Girling helped an elderly lady with her potatoes on leaving the train. We then had time for that crucial cleansing beer. 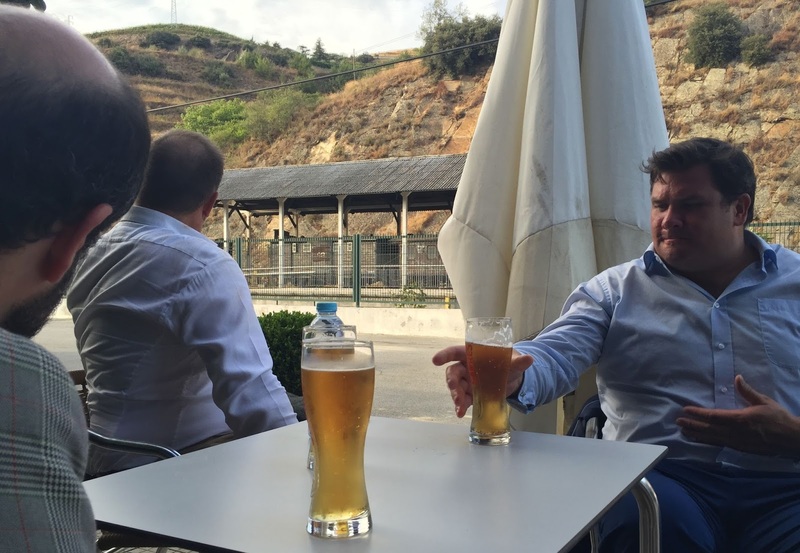 If we need to justify it, we didn’t, then we could have said it was a chance to compare the two Portuguese beer brands of Super Bock and Sagres…I am firmly a Super Bock man. 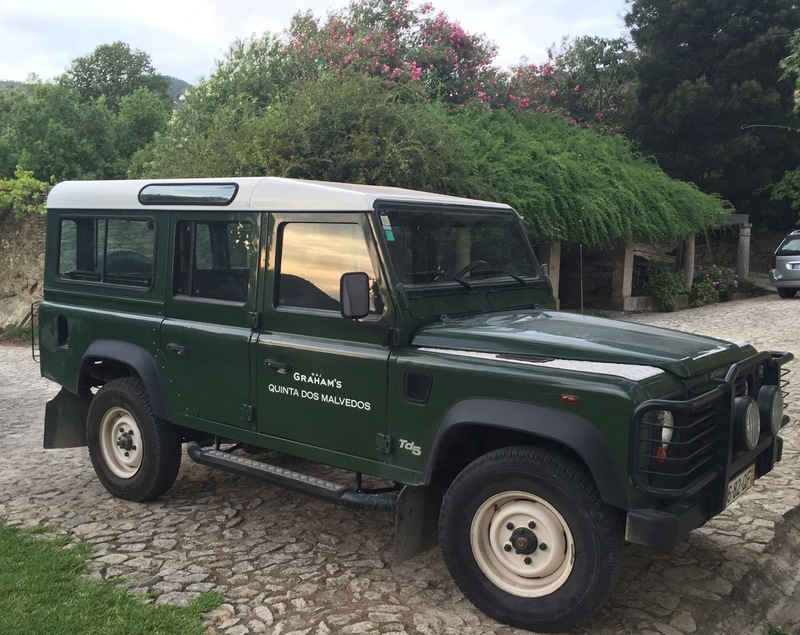 João then arrived in the very smart Graham’s Quinta dos Malvedos Landrover and set about rearranging or spinal columns on the short drive to the Quinta. Demetri saw this as an opportunity to lecture us on palmation (look it up, its a little dull). Lawrence did a good job of nodding appropriately. Now I have stayed in some lovely places on wine trips and it has to be said some shockers as well. The one I place I could most get used to is now – Quinta dos Malvedos – it has wonderfully understates luxury, no frills just the things you need and a sense of space. It wasn’t that hot but I could imagine that Malvedos would feel cool even in 40 degrees. We quickly changed, lying down would have been fatal after that early start…a swim was delayed until the following day. 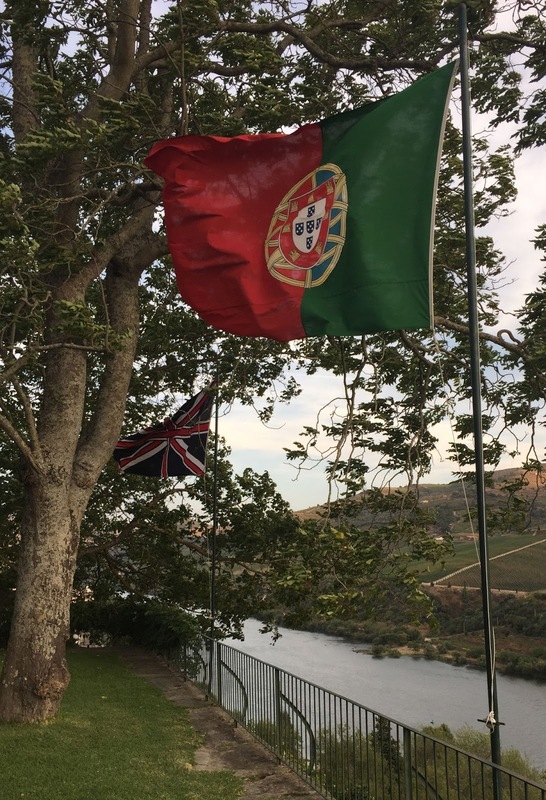 It was now time for a second and third Port and Tonic of the day on the terrace under the Portuguese and Union (hung the correct way up unlike some places) flags. 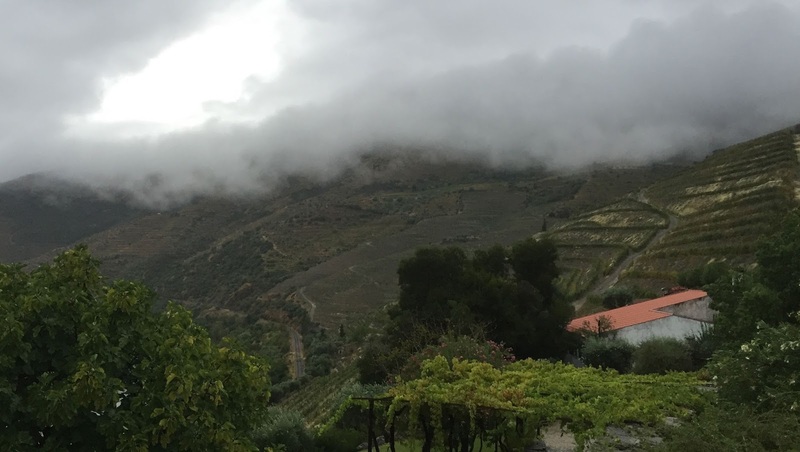 We drank and chatted over looking the splendid view back down the Douro. It had been a long day but a great one and dinner was still to come. A great spot and I had to fight the urge (as did others) to hit golf balls! We dinned outside hoping that we would not get rained on, there was a good amount due! The breeze was up but the temperature was lovely. 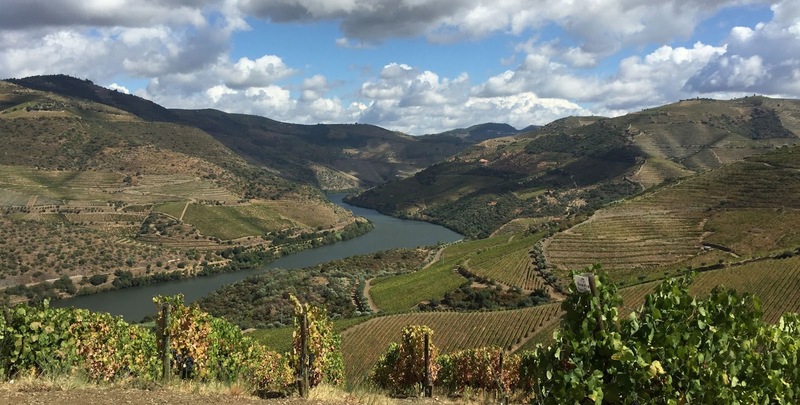 In preparation for the day of Port ahead we talked a bit about the holdings in the Douro from a grape variety standpoint. I had always been under the impression (ignorance being bliss) that a large proportion was planted to the most famous Port grape, that of Touriga Nacional. I was therefore a little alarmed to learn that only 4% is so planted. 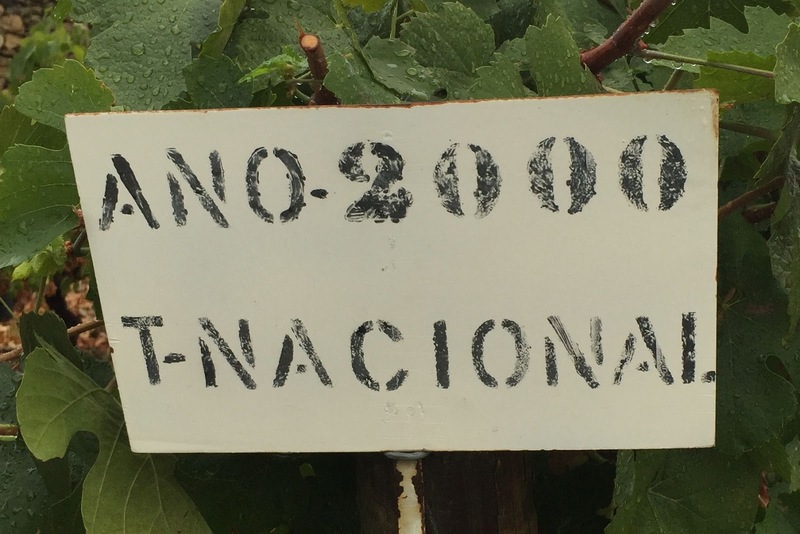 But in amongst the Symington holdings (those that make – Graham, Dow, Warre, Cockburns, Vesuvio etc) there is very impressive 20% Touriga Nacional. Why is there not more than 4% generally? Well, it is difficult to grow and not a massive yielder. 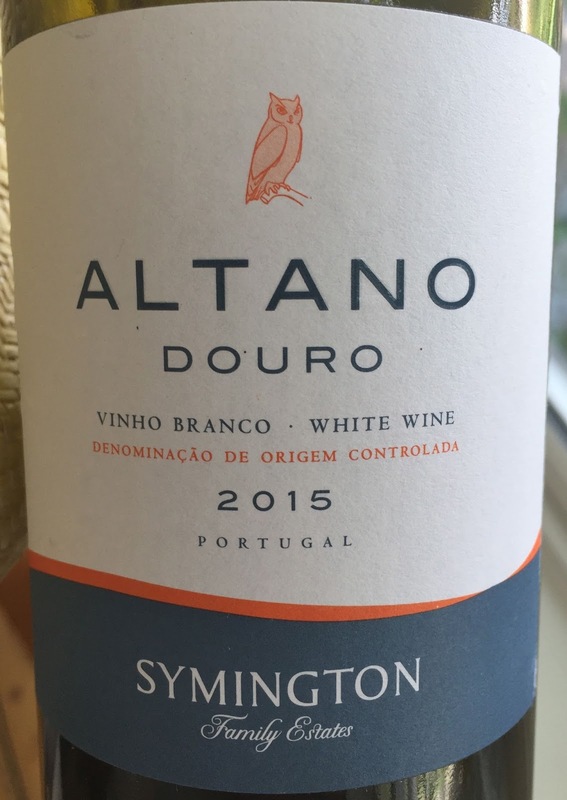 Back to dinner, Altano White 2015 kicked us off in reassuring comfort before we moved to Quinta do Ataíde DOC 2014 which is a new release, this was pretty, gentle, a nice easy wine to enjoy. The Quinta do Vesuvio DOC 2011 which is the dry wine from the Vesuvio estate could not be described as gentle or easy, this was rich and concentrated, stopping just short of being OTT. It will be better and better with another 2-5 years of mellowing, good body and spice, showing the quality of fruit that the stunning 2011 season produced. The food was delicious and just what we needed…lovely home cooking. 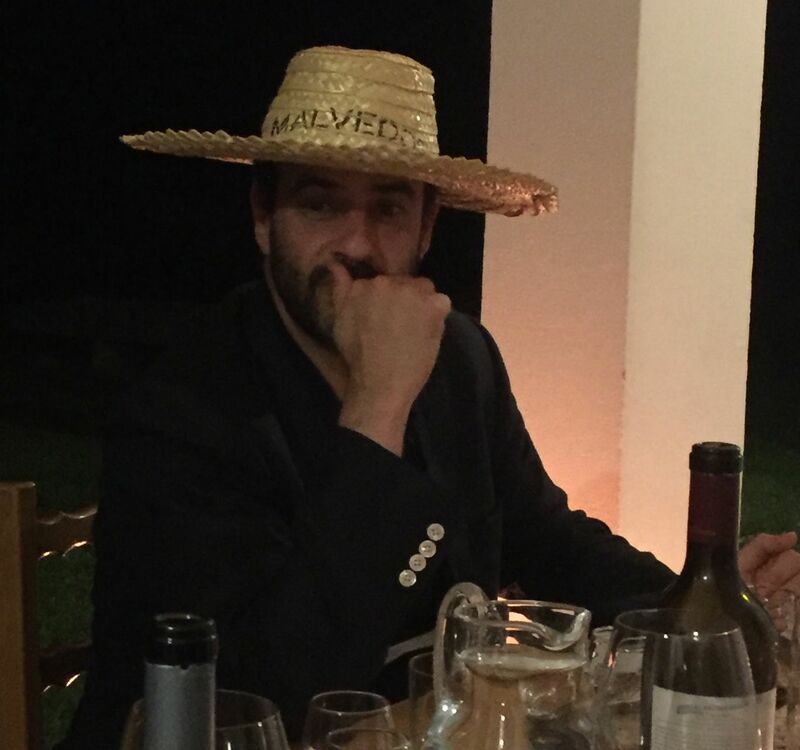 Right, Port time and Demetri got his hat on for the blind tasting…it was a new hat as he seemed to have mislaid his other one. 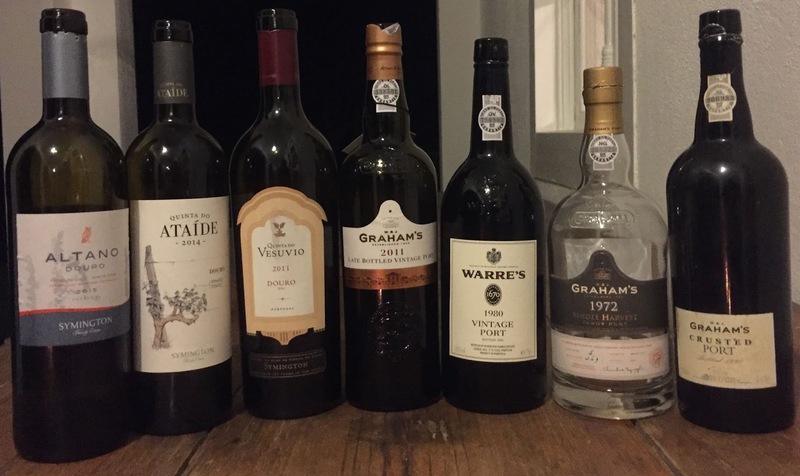 We started with the Graham’s LBV 2011 that we had tasted earlier, it was rich and properly fiery with good spice and married superbly to the intense Chocolate mouse. Port with food, and not just cheese, is a terrific combination. We then had a blind Port and we all made a right old hash of it. We didn’t make a mess of enjoying it but we were miles out on age. It was Warre’s 1980 and Ed claimed to have got close (he did really but we denied hearing him), the wine was so young tasting, rich and bold, just beyond primary but not developed, I can’t remember what I guessed but it was certainly no older than 1997. A super wine. I had asked earlier if there was much crusted Port made. There still is and this is what we were served next. Crusted is essentially a multi vintage wine bottled like vintage Port and it therefore throws a sediment (a “crust”). The one we had was the Graham’s Crusted 1998, this being a blend of 1994/1995/1996. It was figgy, rich but loose and nicely developed, a nice note of bovril…a really good wine with which to economically give people an idea of what vintage is about…I think I’ll be tucking some of that aside. 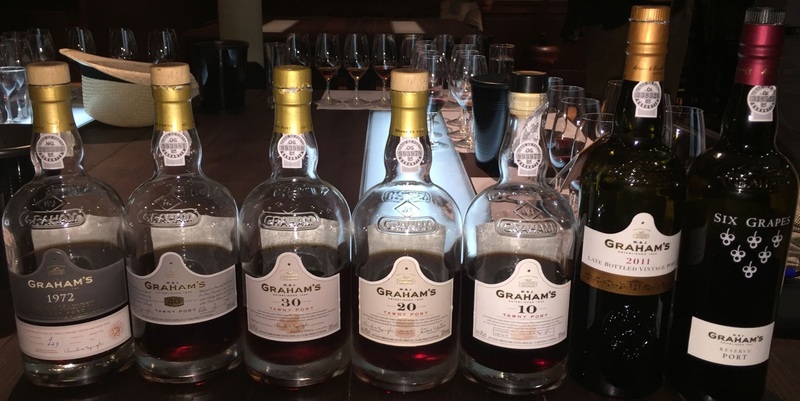 We were then, before the cigars came out, blind tasted on the Graham’s 1972 Single Harvest Tawny from earlier in the day, simply lovely again, though I think I guessed it was the 30 year old! Cigars were then lit (Kev doing well not to be tempted!) and a tremendous day came to an end. It was probably a good thing that we were tired as it absolutely hoofed it down overnight with 30mm falling, just what the doctor ordered and the potential start of harvest the following day was pushed back a further two days, it will then last about a month. After breakfasting on scrambled eggs and lovely local jams and honeys if was time for a tour of the Malvedos estate. 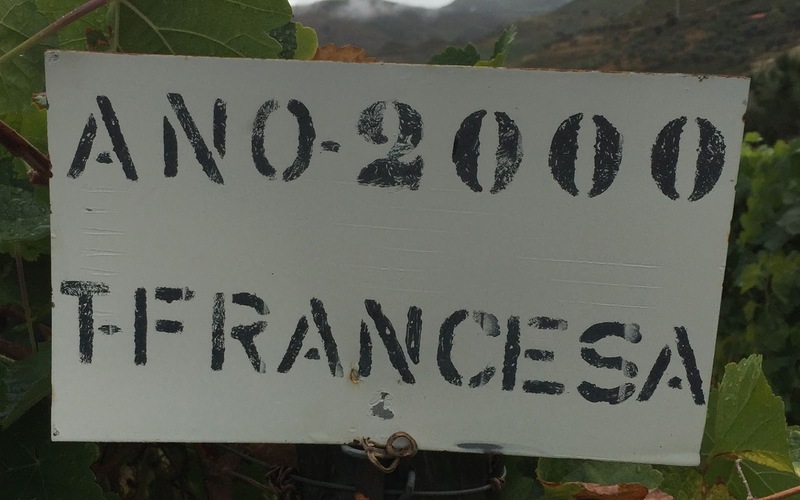 Just down from the Quinta they planted, in 2000, a few rows of each of the main varieties so we had a good look at those on the way down to the winemaking side of things. You get a real sense of history at Malvedos with pictures everywhere showing how little has changed, it must have been some logistical exercise growing and making wine, it still is in truth. We were shown the electronic lagars at the estate and how all the plots were divided up. Interestingly the planting of which variety where is more related to altitude and exposure than soil type which is so different from many places. The wine making set up was slick and very well thought through. The number of different fermentations done is vast and again the scale of the logistical exercise really hit home. In the Malvedos winery we were lucky to taste two single Quinta wines. This is what is released from the estate as a vintage wine when Graham itself is not released. When Graham is released then 30-35% of the wine for that comes from Malvedos. Malvedos 2009 – Ripe and full, primary for sure but so juicily balanced with a spice and Christmas herbs, moreish and black fruited…on its own a delicious drink. 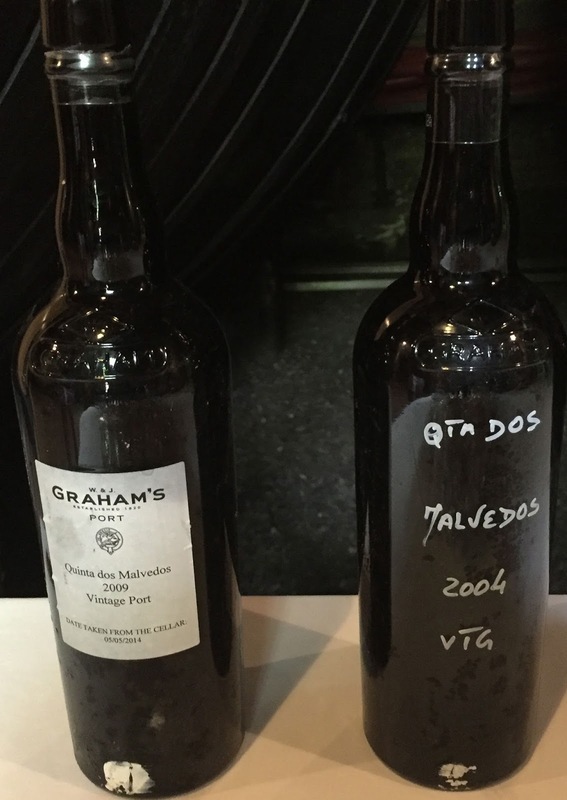 Malvedos 2004 – This was one of the finds of the trip for me. I have to say the fact that 2004 was not declared had always been a surprise to me. In my simple little mind the fact that Ribera del Duero over the boarder in Spain had such a stunning vintage must have meant that a Vintage declaration was on the cards but with the 2003’s having been universally declared it never happened. You might seem something similar with 2015 and 2016 both being very good following two wet and difficult years (2013 and 2014). Back to this wine, more savoury and in a lovely if youthful place, richness but not just of black fruit, almost a little saline…one to buy. 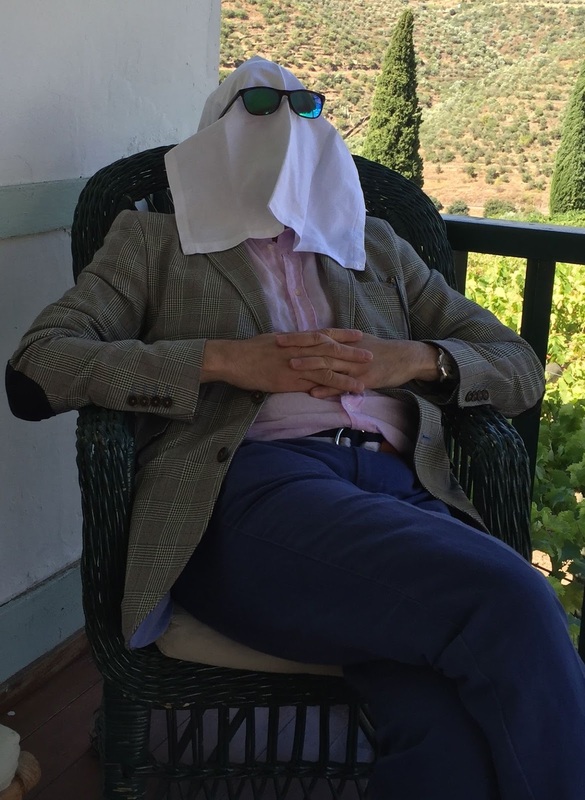 We now had a few moments to kill as our boat was on its way up the river so Mr Burns took to even more sunbathing. Burnsie in his natural habitat. Before long we were heading down to the river and getting ready to travel downstream to Prats & Symington’s Quinta de Roriz. This is an estate that produces essentially dry wines (there is a little vintage Port from time to time, but rarely). The production is less than 200,000bts. The venture that combines the Prats and Symingtons started in 1999 and the first production of the main wine – Chryseia – was 2000 with a first release of the second wine – Post-Scriptum – in 2002. 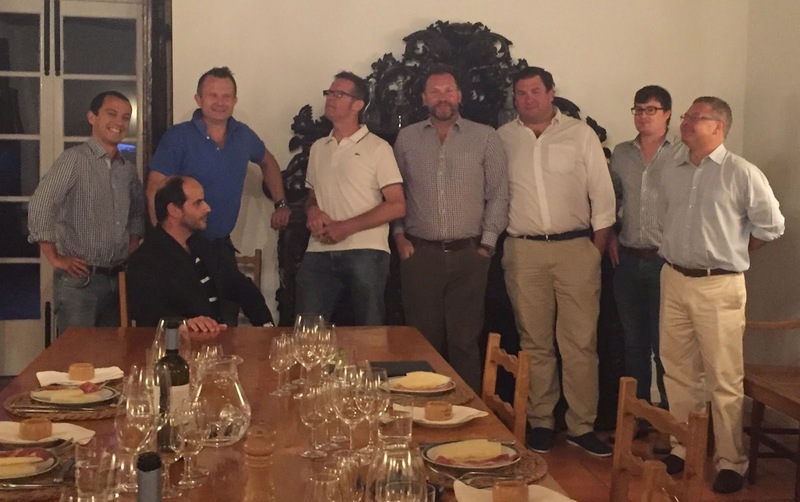 The four main people involved are Charles Symington, Bruno Prats, Luis Coelho (winemaker) and Pedro Correia. Standard transport to a Tuesday lunchtime picnic! We toured the Roriz (pronounced Horith) estate and got a real sense for the area. Interestingly they made the most of a change in regulations a few years back (since stopped) to plant up and down rather than across the contours making the plantings much easier to work and higher in density. Luis gave us a brilliant insight into the winemaking and all that goes on, a brand new barrel hall is just being finished and clearly this estate has its sights set very high in quality terms. Before lunch we had a cracking chance to taste the estates three wines from 2014. Prazo de Roriz 2014 – From a blend of Touriga Nacional (10%), Touriga Franca (35%), Tinta Roriz (24%) and Tinta Barroca (31%) this is the entry to the estates wines offering red cherry fruit and a moreish dryness, good grip and acidity at the price it sells for this is spot-on. 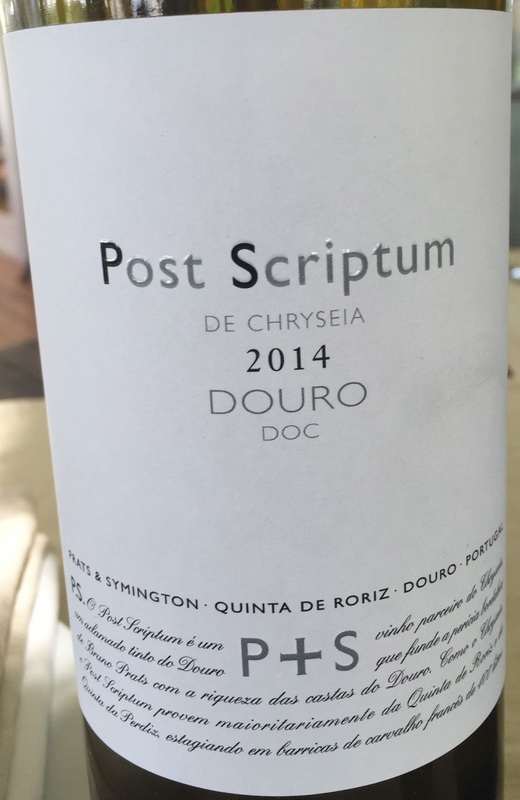 Post Scriptum DOC 2014 – from a blend of the same four varieties. Darker fruit, less cherry more blackberry, more depth and a little bit of understandable oak showing. Violets also and dry stones on the finish…a year or two will only improve this already impressive wine. 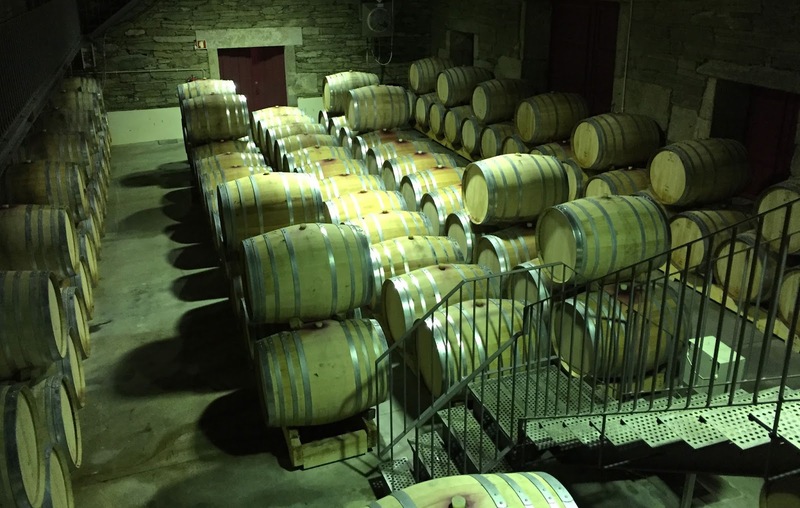 Chryseia DOC 2014 – From just Touriga Nacional and Touriga Franca. Vibrant, full, rich has a violet and dark cherry lift. The texture has richness and grip but no hardness. To be abel to do the tasting with the wines alone but then try them with the food as well was great. It was all a little too much for out MW who decided to have a very brief power-nap, not that he released he would be dressed as the invisible man for doing so. 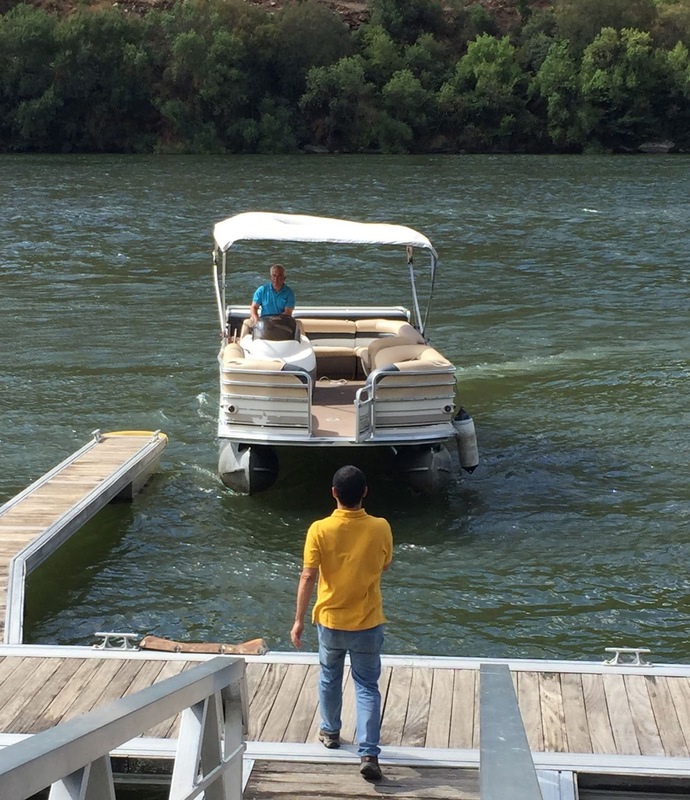 With the sun gloriously out on display it was back to the boat for the trip down to Dow’s Quinta do Bomfim. I have always felt a real affinity to Dow’s Port…I have no obvious reason for this. It is no different from why we pick one team over another in a Sport when you don’t have a reason to support a certain side but it is what it is. 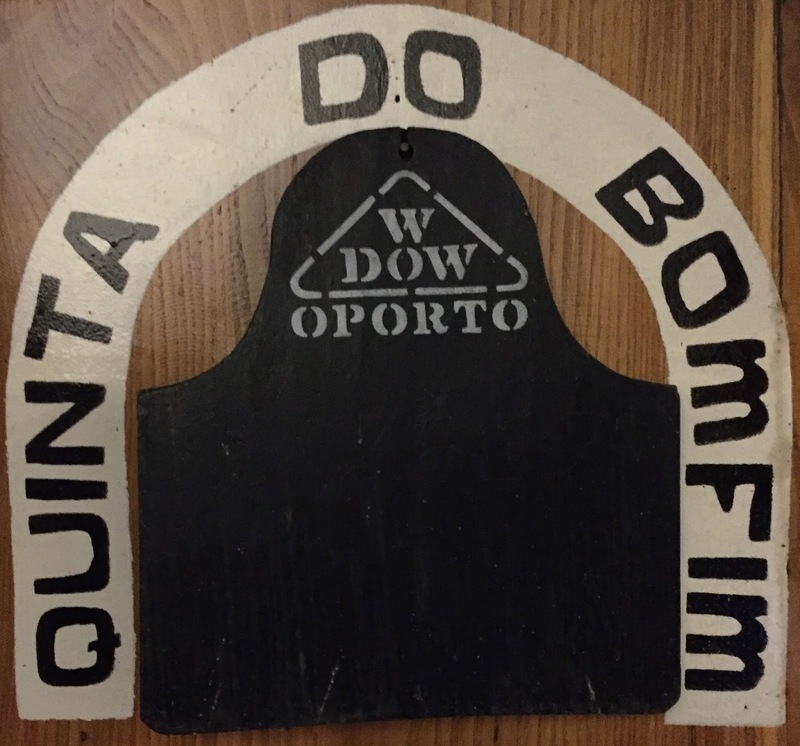 Bomfim produces around 80% of the port that goes into a Vintage of Dow. The Quinta is also the site of the only Symington’s branded visitor centre, they have others but they are all focussed on one particular house not the “whole”. As we looked around you got a real sense for the history of this great region and the sacrifices (sometimes of life) that were needed to pick and make the wine and then get it down the river to Vila Nova di Gaia. 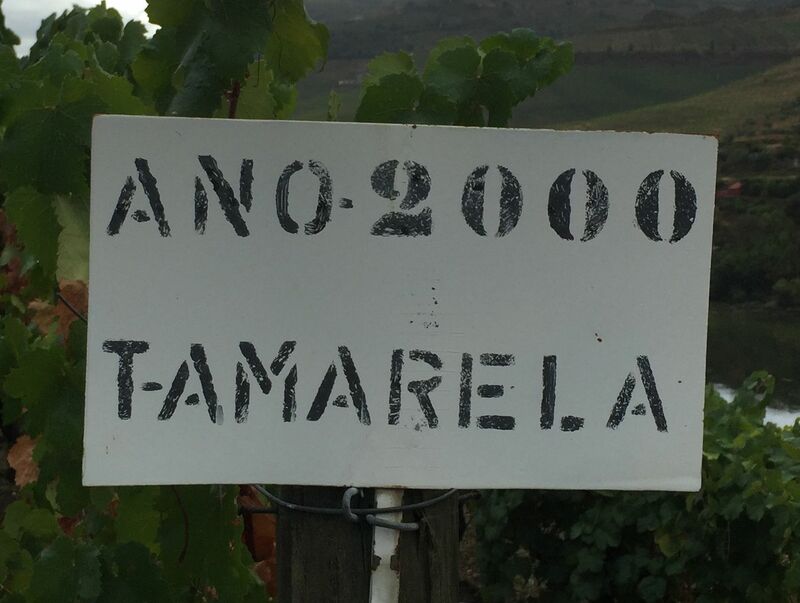 We had a real treat at the Quinta just before we tasted two wines and that treat was getting to see (no photos for obvious reasons) the entire harvest plan for the Symington estates…let’s just say it was some spreadsheet and some exercise. Cockburn’s Canais 2006 – This showed a touch of eucalyptus and some menthol following to a focussed very fruited and a spicy palate. 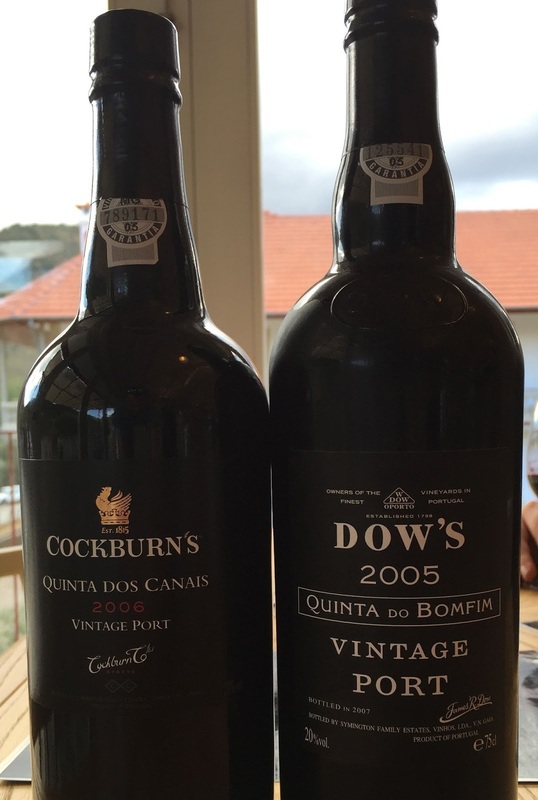 Quinta do Bomfim 2005 – Nice nose with good development, a little savoury and rancio with some leather. Pure but bold spicy fruits and lots of damson and black cherry. 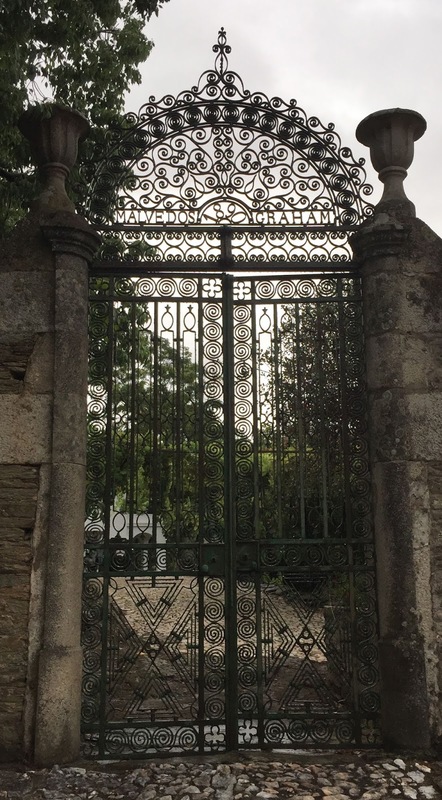 A fast walk down to Pinhao train station then followed and a 10 minute journey to Tua and on by Landrover back to Quinta dos Malvedos and a swim with a bottle of Super Bock or two. We actually did pretty well. The one of the below that confused us most was the 1983 Graham that we all judged to be older as it was less forceful (in a good way). First came the Dow’s 1985 – raisin fruit, dates and prunes a little demerara, tar and savoury edges, a delicious glass of Port that will continue to age but is lovely now. 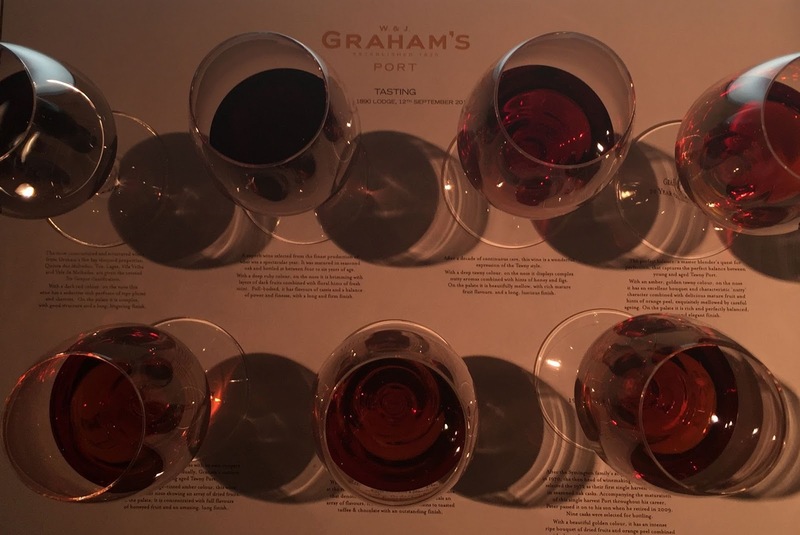 Graham’s 1983 was delightful with fresh mint and then a really elegant palate and a charming weight. I don’t feel my notes are doing these justice but then harmonius wines with such finesse and drive are always harder to write about. 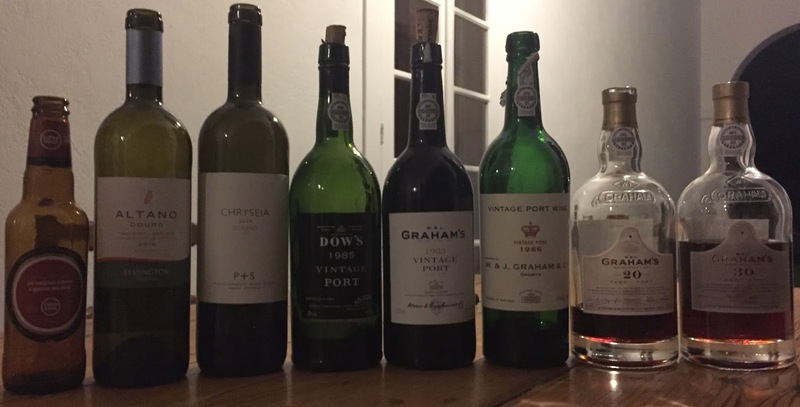 Graham’s 1966 was a star of a wine, super elegant with soy and sweet balsamic like decadence but so much perfect degraded sweet fruit, awesome length. All these wine disappeared down our greedy little throats but then that is exactly what they are made for. It is also important to note that our heads were as clear as a bell the next morning after both the dinners. Post meal we had a lovely relaxed chat outside over a few glasses of the Graham’s 20 Year Old Tawny and Graham’s 30 Year Old Tawny. These must be amongst the most incredibly drinkable but complex wines at there respective levels. A lovely dinner to round off the two days. The following morning it was an early start as we left the Quinta at 5.45am and made tracks back to Porto airport. 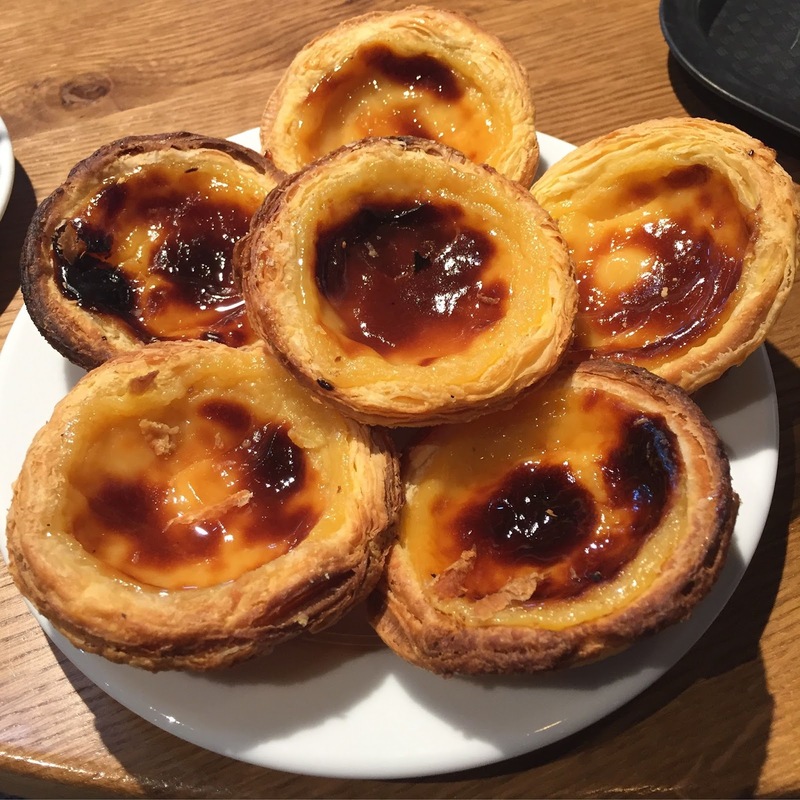 All that was left was to have a coffee and a Pastel de Nata as we waited for our plane. 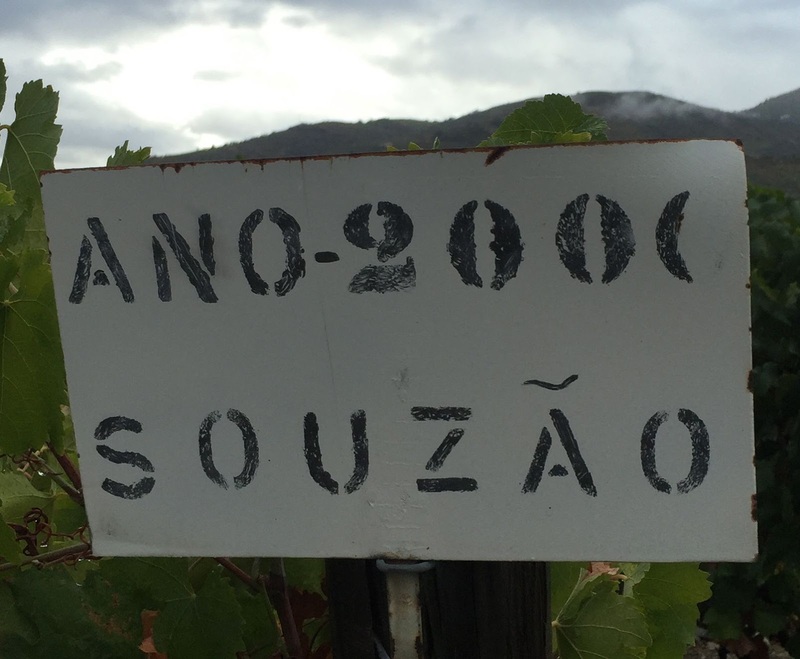 A magic couple of days and a massive thank you again to Richard, João, Henry, Paul and all the Symington team…all I can say is keep up the good work and this legendary wine producing area will only go from strength to strength…long may that happen. Anyone for a Tappit Hen? Three bottles in one…yum! Previous Previous post: Newcastle with "Newcastle" & "Halifax"